Organic dodecahedron and marble necklaces. 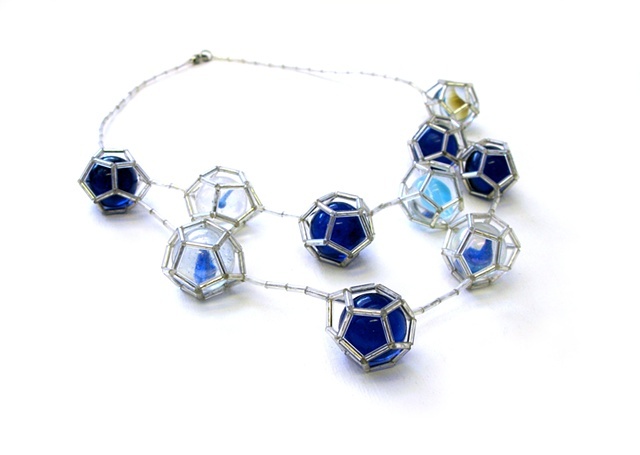 The glass marbles are encapsulated in dodecahedrons. Light goes through the glass marbles and reflects back on the surface. All necklaces are clipped at the back with magnetic clasps. Available in gold foil, silver foil and dark blue.